My Sun Dried Fire Roasted Tomato Soup is creamy and delicious and tastes like the tomatoes are freshly picked from the garden. I’m picky about tomato soup. It has to be homemade and it has to taste like it’s freshly picked from the garden. But in the middle of winter, fresh is not always available. My Sun Dried Fire Roasted Tomato Soup is as close to tomato soup perfection as it comes. The bottom line is that the right tomatoes make a huge difference. When summer ripe tomatoes are unavailable I head straight to Hunt’s. I’m a big fan of their fire roasted tomatoes and I use them exclusively in many of my recipes, including my Meat Lover’s Tomato Sauce and my Cheesy Eggplant Bake. Both of these recipes are popular on Pinterest and among friends and neighbors. What tomatoes should I use for this recipe? For this recipe, a trip to Walmart to the canned tomato and pasta aisle was in order. While I was there I also picked up a jar of sun-dried tomatoes packed in oil. Fire roasted and sun-dried tomatoes give my soup a flavor like no other. Each spoonful is bursting with the sweet and tart flavor of fresh tomatoes, the intense taste of the fruit sun dried at the height of ripeness and the salty smoky flavor of bacon. Yum! Can you just taste it? With Christmas right around the corner it’s the right recipe to serve as an appetizer to our family dinner. But we enjoy it all winter long. 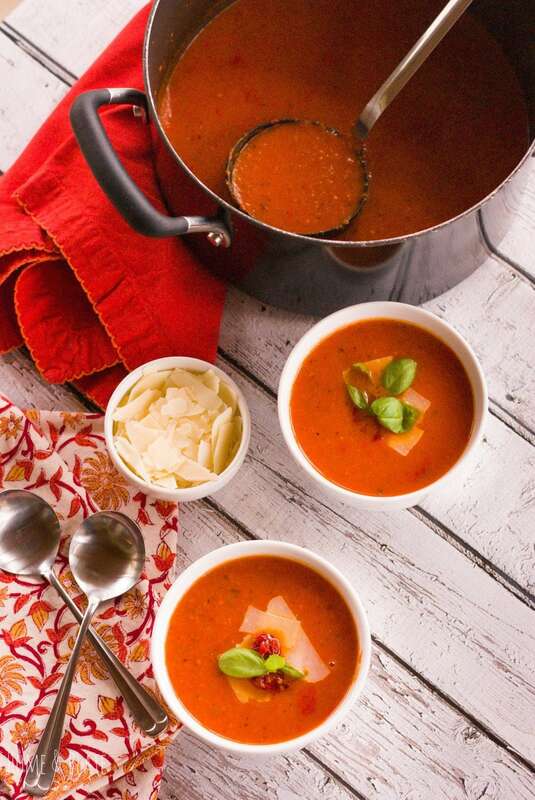 With the weather turning colder, hot tomato soup hits the spot. I always make a big batch so there’s plenty left over for lunch tomorrow. Grilled cheese sandwiches and a bowl of my Sun-Dried Fire Roasted Soup sounds perfect. Don’t you think? This recipe is also super simple to whip together when you’re short on time. Great for anytime of the day. I like to make this soup ahead of time and refrigerate it overnight. The flavors really come together. You know when a recipe is “husband-approved” that it’s a keeper. It’s just a bonus when it’s easy to make and the ingredients are easy to find. Sauté the bacon in a large soup pot over medium heat until crispy, about five minutes. Remove the bacon from the pot with a slotted spoon and transfer to a paper towel lined plate. Drain the bacon grease from the pot. Add the chopped onion and garlic to the pot and sauté on medium heat until soft, about five minutes. Add the flour and stir to incorporate. Slowly add in the tomatoes, 3 cups of the chicken broth, the sun-dried tomatoes, bacon and cream. Simmer for 20 minutes until the tomatoes begin to break down. Remove the pot from the heat element and use an immersion blender to purée the soup. Otherwise transfer the soup in batches to a blender and purée until smooth. Return the puréed soup to the pot and return to a simmer. Add more chicken broth to the soup if you prefer a thinner consistency. Add the fresh chopped basil, salt and pepper, and the bay leaves and simmer for another 15 minutes before serving. I’m with you — I’m super picky about my tomato soup, too! Your recipe sounds delicious! 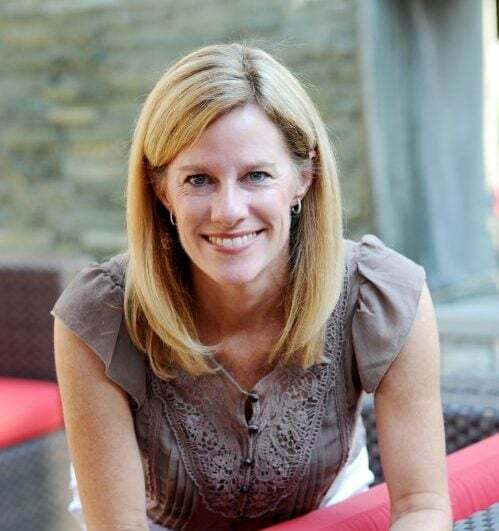 I love the added sun dried tomatoes – what a great idea! 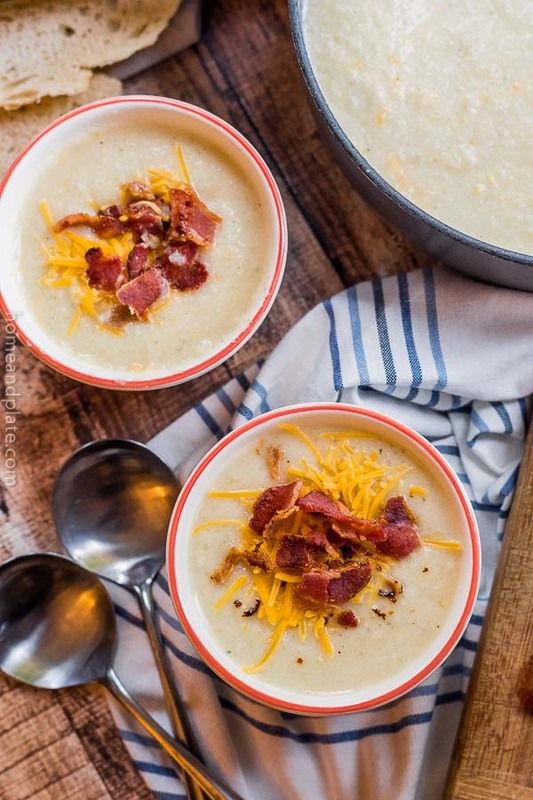 The perfect dish for these cold days & nights! I agree–I’m particular about the tomato soups out there. I was spoiled when we lived overseas, as so little over there was processed. So fresh, and so delicious any time of year! Dee Dee…this is the best recipe and it tastes like fresh tomatoes out of the garden. I promise you’ll just love it! Gorgeous. Love the idea of using two tomato flavors. Delicious! I think it adds something so special to the flavor of the soup. Fresh from the garden. Thanks Susan. Anything with bacon and I’m down. But seriously this soup looks delicious! Right? Totally agree about the bacon. Promise it just enhances the flavor. You’ll love it! This looks delicious – I completely agree that good quality canned tomatoes are worth every penny. They sure are. The proof is in the first spoonful. Thanks Helen. 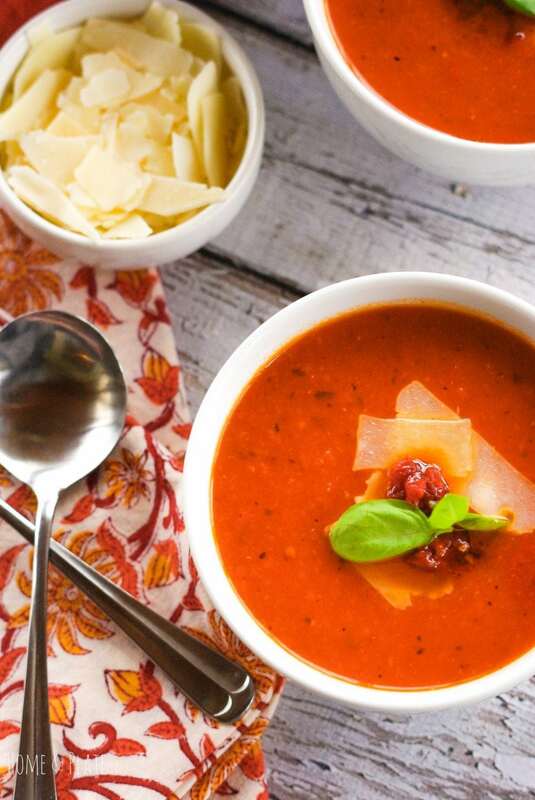 This looks so tasty, you can’t beat a classic tomato soup with bread and butter! Such a great warming winter lunch. Agreed Becca. Perfect for lunch and cold weather! I’m in love with the color, warmth and flavor of this soup; I would love a bowl right now! Wonderful job with this post! Thanks so much. It tasted just as delicious as it looked. Yum! one of my favorites – this sounds SO flavorful! This recipe sounds amazing! 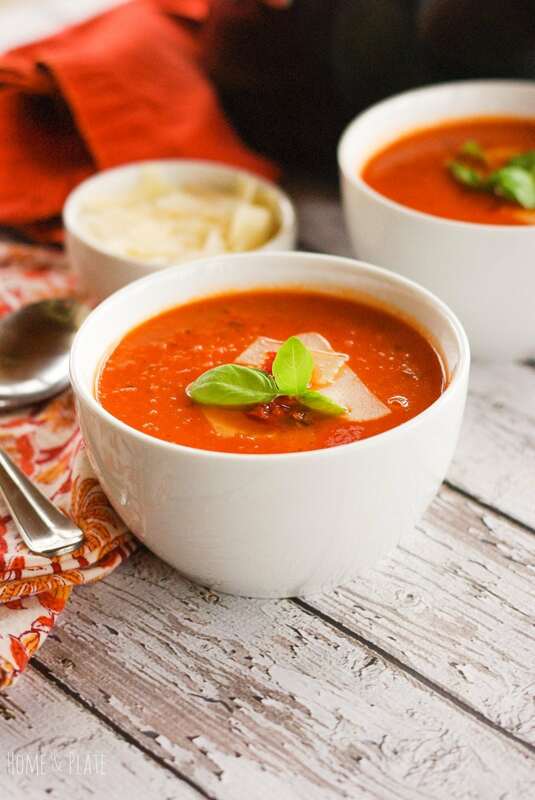 Tomato soup is one of my favorite soups! 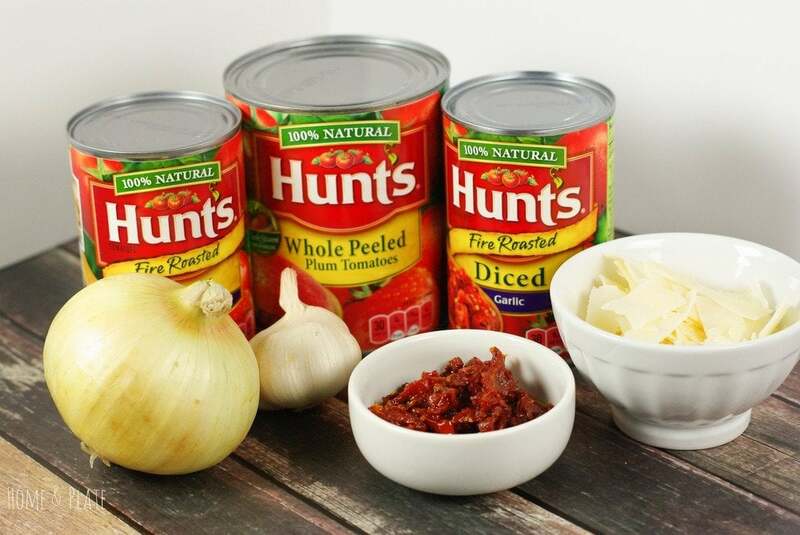 I love Hunts fire roasted tomatoes…always have them on hand. 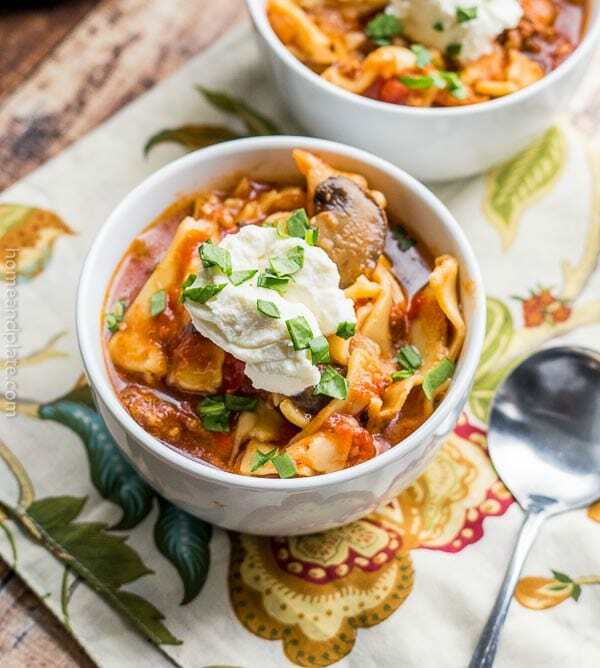 Great idea to add sun dried tomatoes to this soup! Your photos are gorgeous! This soup.looks delicious! Thank you Johlene…they are come a long way. Finally having fun with my camera. Love the sound of fire roasted tomatoes. I echo what Johlene said, your photographs are just gorgeous. Thank you so much. I appreciate the sweet compliment. I used vegetarian bacon and did NOT buy any of the ingredients at Walmart. It is a fantastic recipe and tastes really good. As good as those photos! Thank you. This recipe sounds good! 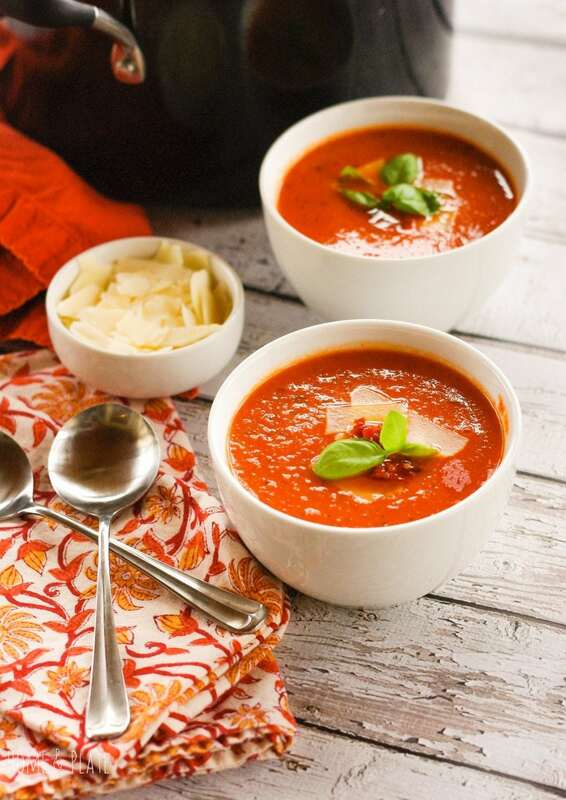 I love creamy soups and tomato soup is one of my all time favorite! 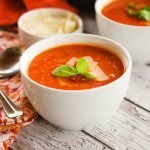 Tomato soup is a winter comfort food for me! I like the addition of fire roasted tomatoes to take it up a notch and make it more "adult". Putting this on my winter list. Hi there! Soup looks amazing and I’ll definitely be making this soon. Quick question though…I’m frying the bacon and removing it and the bacon grease…why am I using the bacon then? Did I miss a step…does it go back in the soup at some point? Help! Thanks for reaching out 🙂 You’ll add the bacon back in before blending the soup. I’ve updated the recipe so it’s a bit clearer. I hope you enjoy it. I just made this. Pretty good, except next time I will use more cream and maybe a teaspoon of sugar to cut the acidity some. Thank you for sharing. Thanks Sherri. I’m glad you liked it. So glad you could tweak it to make it yours:) Love that about this recipe.